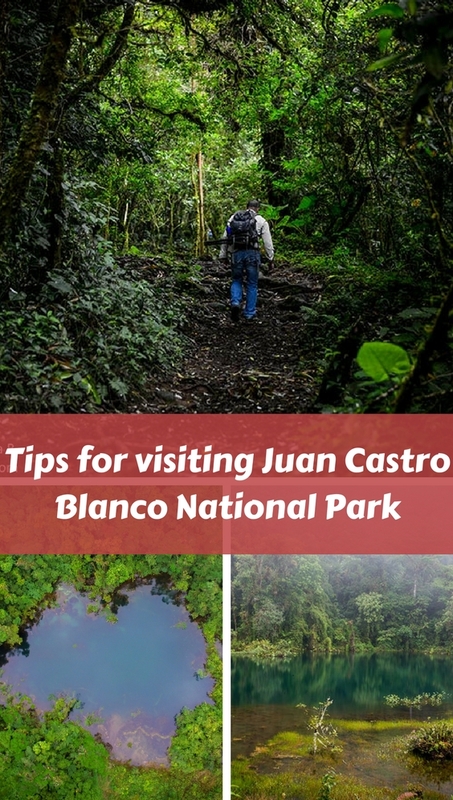 Juan Castro Blanco is not too far from our hometown (San Ramón). It was the last National Park created in Costa Rica in 1992 with a total extension of 35715 acres (equivalent 14453 Ha). It’s considered part of the Arenal Conservation Area. The park was set up in order to conserve a tract of primary and secondary forest that protects a series of important of water sources. I remember that I visited the park when I was in elementary school as part of field trip we were learning of the importance of water as a “renewable resource.” I didn’t understand at that time the importance of the creation of this national park. Understanding now that only 3 percent of the Earth’s water is freshwater, and only one-third of that amount is usable for drinking water, I am glad to hear about the fights of the neighbors and locals to protect this important water resource for our country. We left San Ramón at 7:00 am and took the same route we would take to Arenal National Park. We passed Zarcero (the picturesque town with cypress trees with shapes), we stopped for our breakfast and kept driving to a town called Sucre. Here, we went to the right and started on a route surrounded by cows and farms going up for about 30 minutes until we got to the majestic mountain. We recommend 4×4 cars, especially if you are going in the rainy season. There is no bus to get there. They have a visitor center (pretty nice and new) but not rangers yet. You can use the restrooms. There seems that they have a parking lot next to the entrance but it is only for 4-wheel-drive cars, others just park on the side of the route. There is also a map that shows you the trails, and that’s it pretty much. There are 3 trails. One says it will take you to the mines (35 km), but we didn’t pick that one because they highly recommend that you have to hire a tour guide and there is no trail literally the mountain close more and more you will need a machete to get there haha, no but really we don’t recommend without a guide. The trail we took begins by passing the bridge on the left. It is quite broad and easy to follow. In total, we walked about 3 km without much slope in a cloud forest similar to Monteverde, then we passed between mystical pastures with mossy stones and small springs of crystalline water. We found a sign and took the left side of the trail and found the emerald-colored lagoon. The sunny day with the green-emerald lagoon and a huge mountain in the back made it inevitable to think that nature is awesome. My friend Gina and I were dominated by our mermaid instinct to jump into the water. It wasn’t the best idea because the water on the edges is muddy and stinky. (You need to be careful make sure you are a good swimmer because you will be in the middle of the mountains). In the center of the lagoon, the blue color was stunning. If the water wasn’t so cold I would have stayed the whole day there. After our swim, we ate our snacks. We changed into dry clothes and started our way back. We explored a little of the other trail even though it was not recommended to do it by yourself. The journey back took us like 2 hours. We finished by 2:00 pm and came back to civilization. Left the national park and had our late lunch in Zarcero because there aren’t many places to eat in the surrounding area. It recommends doing this hike if your are planning to visit the Arenal Volcano area, because this can be a half day tour. Sportswear, hiking boots I made with tennis shoes but some parts are muddy and slippery, snacks to do a picnic on the grass, bug repellent. During the rainy season, a rain jacket and boots will be good. Fewer than 1000 tourists visit the park per year. The park focuses more on conservation and research and they don´t even charge us. However, they are accepting donations for investigations and volunteer labor through a Cooperative Association led by the locals.The families in the surrounding areas are part of a network for rural tourism experience. If you would like to have an experience like the one described above in nontouristy places or less crowded national parks, let us know the area is not that developed in tourist facilities but there are few options that you can stay or stop for lunch. We will be happy to help you to get there or even find more information for you as locals. I did some research and I found a phone call to a local tour operator in the area and they say that they operate a one day tour to Pozo Verde. The tour includes: 3 hours hiking (roundtrip), Tour Guide and Lunch. They asked me if you are staying in the area or planning to do it roundtrip to Grecia? The situation is transportation if you are not renting a car and get there for the tour. They can coordinate a private transportation but from Grecia the estimate a $160 cost only the transportation. If you are interested to rent a car we can help you with that.